Leica Geosystems introduces DIGICAT 200, which is built on the “Safety First” philosophy of the other DIGISYSTEM products from Leica Geosystems and designed to operate with maximum safety in a potentially dangerous working environment. In addition to the features of Leica Geosystems’ well proven DIGICAT 100, the DIGICAT 200 also indicates the depth of the buried services. Easy to use, robust and competitively priced, this tool is perfectly suited for all construction applications. with the DIGITEX 8/33 (operating in the 33kHz mode) the real depth and location of all services can be found. With depth estimation to 3m and an accuracy of approx. ± 10%. Increasing awareness of operator health and safety responsibilities as well as the reinstatement costs to accidentally damaged buried services is driving the demand for higher standards of equipment performance and reliability in ever more crowded situations. The DIGICAT 200 has been introduced to the DIGISYSTEM family of products to meet this demand. The buried utility maintenance and construction industries have an increasing demand for products which enable reliable and accurate location of buried services. The DIGICAT 200 meets this challenge. Used in conjunction with the DIGITEX signal generator operating in 33 KHz mode, the DIGICAT 200 enables reliable plan position pinpointing and depth estimation from 0.3 to 3.0 meters and provides full 3D location of buried services. The success of active signal tracing, using the DIGICAT 200 in conjunction with the DIGITEX Transmitter, depends on variable site conditions such as external interference signals - traffic loops or tracing in congested areas - with many buried services. The DIGICAT 200 can be set to trace either an 8 or 33 KHz tracing signal and get the best results for the specific site conditions. Working in busy construction sites presents a personal hazard to construction workers who must use both their eyes and ears to ensure personal safety. The DIGICAT 200 has both visual and audio indicators to provide the safest indication to the operator when working in adverse conditions. 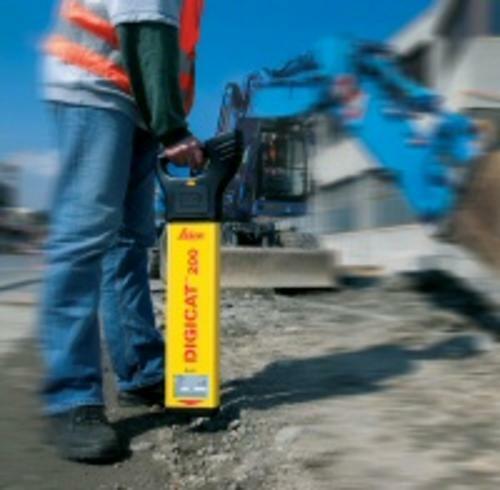 Rugged and lightweight construction designed for use from -20 to +50 degree Celsius and meeting IP54 environmental standards makes the DIGICAT 200 an ideal construction site tool. Whatever the conditions and weather are. As part of a safe system of work for general construction activities, detection and avoidance of existing buried services form an essential step before excavation can begin in a safe manner. The DIGICAT 200 passive signal POWER and RADIO modes provide a reliable detection means for buried services naturally carrying these signals. The DIGICAT 200 with depth indication rounds off the DIGISYSTEM family of products, consisting of the DIGICAT 100 and 200 underground service locators, DIGITEX 8/33 signal generator and DIGTRACE 30, 50 or 80 service tracer. 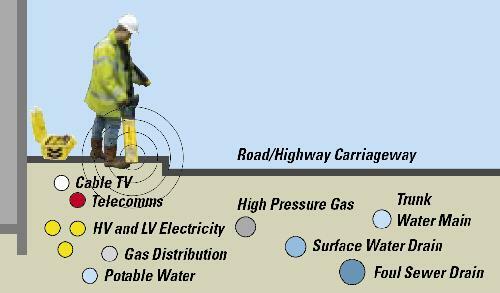 With DIGISYSTEM products, locating underground cables and pipes becomes a simple and speedy task, and the system increases the onsite safety and saves effort and money.